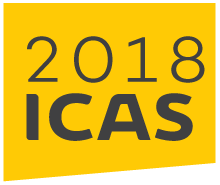 The International Competitions and Assessments for Schools (ICAS) are held annually, covering a range of specific areas of study, including: Digital Technologies, Science, Spelling, Writing, English and Mathematics. The competitions are run by the Education Assessment Australia through the University of New South Wales Educational Testing Centre and are now for Primary students from Years 2-7 in most subjects. They provide opportunities for students to be assessed in an external testing situation and are also used to recognise and reward achievement. If you would like your child to participate in any / all of these competitions, then please download and complete the entry form below and return it with the entry fee per competition. Cheques should be made payable to Craigburn Primary School. Return the completed entry form to the Finance Office by no later than Wednesday 14th March. Late payments cannot be accepted. For further information, please see Hazel Robertson (Senior Leader).